When it comes to finding the best Guppy tank mates it’s actually pretty easy. People like to put guppy fish in their tanks because they’re low maintenance fish that are beautifully colored and get along with many other different types of fish. In fact, its colors are so brilliant that guppies are often referred to as rainbow fish because of the beautiful colors on its fins and body. 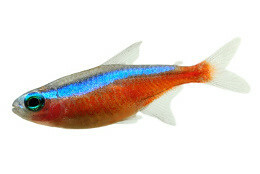 Males are typically brighter while the female guppies tend to be more subdued in color. Guppies have small heads, long bodies, and tails that can’t be missed. They come in a variety of shapes which is the prominent feature of the guppy. Their typical lifespan is anywhere from 1-3 years and are omnivores who like tropical fish flakes and brine shrimp. Guppies are tropical fish that are native to South America and named after Robert John Lechmere Guppy who discovered the fish in 1866 in Trinidad. They are also sometimes called “million fish” because they reproduce easily and often have numerous offspring at the same time. Here are some other facts about the ever-so-popular Guppy fish. While some people prefer to have a tank of only guppies, other people allow their guppies to invite friends over. Cardinal Tetras make good tank mates for Guppies because they are also beautiful in color, making for one good-looking tank! They are also peaceful fish that just want to swim around, hang out, eat and have a good time! 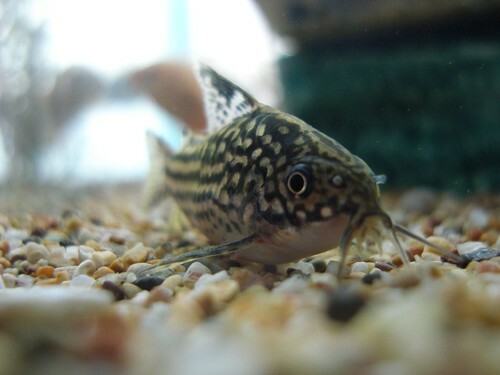 Corydoras Catfish are busy fish as they swim around and clean the tank by looking for particles that may not have been eaten. Having these guys in with your guppies means less clean-up for you! They come in peace, just like a Guppy which is another reason why they’re excellent tank mates. If you’re going to add Corydoras Catfish in with your guppies make sure you get a big enough tank because they like to be kept in groups of at least four. 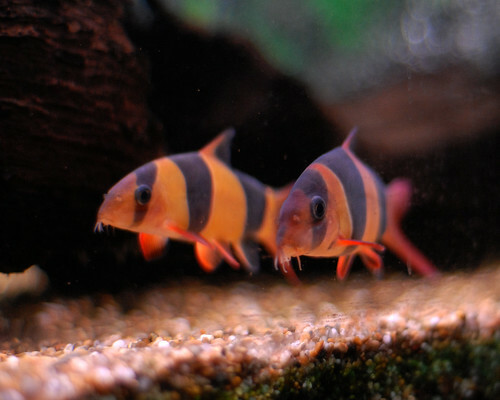 Loaches are a great companion for guppies because they’re bottom feeders that will just do their own thing without much interaction or trouble. They’re calm and peaceful just like the guppies. Keep in mind that some Loaches can get pretty big, so you want a tank that can house everyone comfortably. GlassFish don’t particularly like aggressive fish, that’s why they’re a good match for the guppies. They add beauty to the tank with their see-through bodies (thus the name glass). They like to be kept in schools of five or more so keep this in mind when choosing a tank that will also be big enough for the guppies. 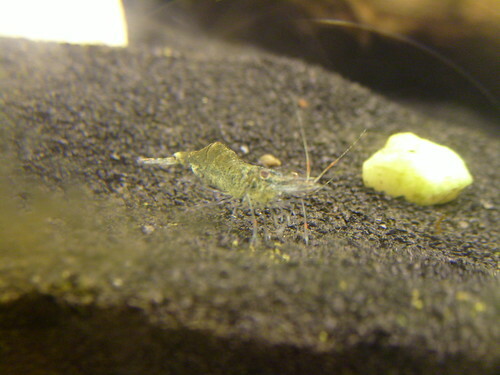 Like the glass fish, the Ghost Shrimp get their name from the fact their body is semi-translucent. They’re good little tank mates for the guppies because they don’t bother with anything else. They do like a good place to burrow, so if you are going to add these to the tank be sure to get a sand or gravel substrate to create a little hiding place. The size of your tank and the number of guppies will determine just how many ghost shrimp you can invite over to play. Since they do enjoy their burrowing space you want to make sure there’s room for everyone. 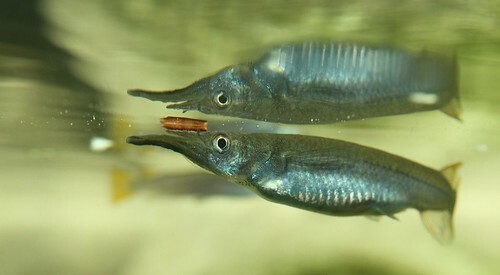 Halfbeaks are known as good community fish making them friends for guppies and many other fish. They thrive with fish that are not aggressive. Halfbeaks like to jump so add a cover if these guys are in your tank. 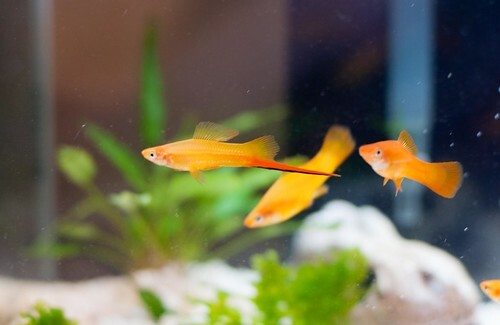 They also have colorful fins which can complement the vibrant colors of the guppies. The Molly shares the same environmental needs as the guppy fish so it’s only natural that the two should make great tank mates. The best thing about the Molly fish is that it won’t fight with the guppy. 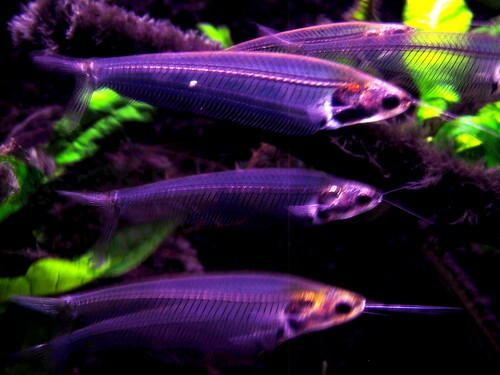 There are several different types of Molly fish to choose from including the Sailfin Molly, Black Molly, and Balloon Molly. 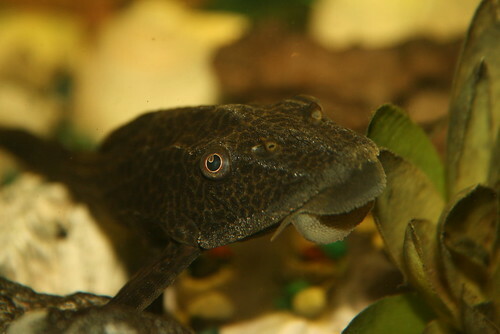 The Pleco is a good choice for a guppy tankmate because it is a calm fish that is also a bottom feeder. Plecos will mainly stick on the bottom of the tank leaving the rest of the tank free for the Guppies to roam. Their main hobby is eating the algae in the tank, so there’s even less work for you to do when these guys are around! You can cut down on your tank cleaning time by adding red cherry shrimp in with your guppies. They like to eat algae off the tank glass and any tank decorations you may have. The red coloring adds to the beauty of the guppies making for a vibrant tank. 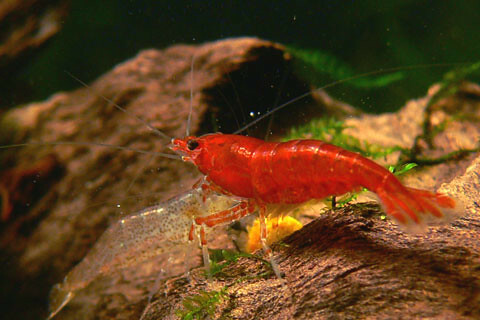 You don’t want to have too many red cherry shrimp in your tank at once because they are known breeders and can multiply quickly. The funny thing about swordtail fish is that they’re aggressive towards each other but are fine with many other fish including guppies. These fish are easy to take care but are known to be frisky jumpers. So, if you decide to add these in with your guppies, investing in a cover may be a good idea to prevent any unfortunate happenings! 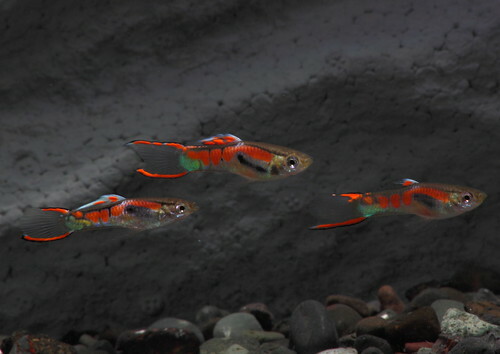 Endler’s Livebearers are a good match for guppies because of their size and visual similarities. They are so much alike that some people believe they are relatives. 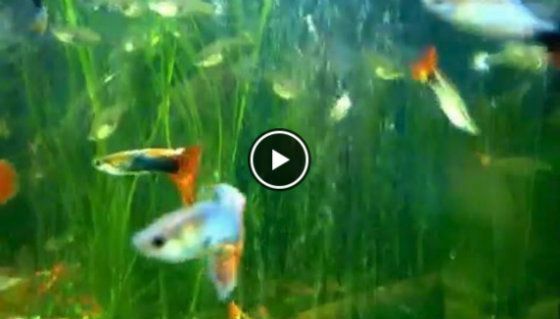 Endler’s Livebearers are known to interbreed with guppies when they’re in the same tank. They’re very small fish so if you’re putting them in the tank with fish that are in the guppy tank make sure the other fish are not too big. Colorful and peaceful, the Rasboras are great little friends for the guppies. Just like the guppies, they’re not aggressive and just want to swim around the tank. They do best in schools of six. If you choose the Rasboras as roomies for your guppies make sure your tank is big enough so all the fish have enough room to swim. Stick with small fish. Big fish will try to attack your little guppies. Get a big enough to tank. Since many of the guppy tank mates are schooling fish make sure the tank is big enough for all of the friends. Diet & water requirements. Make sure the fish you choose have the same diet and water requirements as that will ensure both fish will thrive. No nibblers. Don’t get fish that are known to nibble like barbs. The end result won’t be good for your guppies. Angelfish: If Angelfish are small enough, this little union may work. But, if they are too large they’ll mistake the guppy fish for dinner. So, if you decide to add in Angelfish you need to be prepared that some may mysteriously disappear. Cichlids: These guys are just too aggressive to live in the same tank as the guppies. They’re quick, aggressive and will eat the guppies for dinner as well. Those are the two biggies to avoid. Others include the red-tiger shark and barbs due to their size. 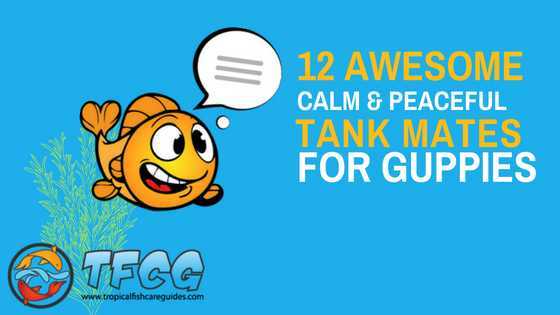 The bottom line is that you don’t want to add any large, aggressive fish in with your guppies. Guppies are calm fish who just want to swim around in peace. They’re not into fighting and getting to know other fish that are too aggressive. Besides the basic textbook facts about guppy fish, there are some other lesser known interesting facts. 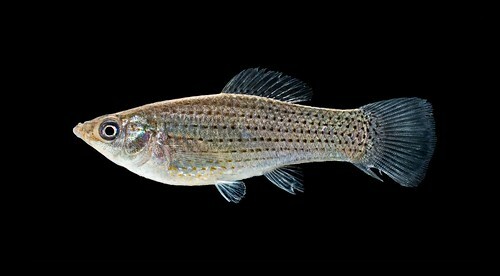 Guppies have been introduced to many rivers in Asia to reduce the number of mosquito larvae and to help fight malaria. Female guppies give birth to babies that can be seen even before they’re born thanks to the see-through bodies that the females have. Female guppies that are not in the wild can give birth to 20 to 60 fry a month! In extremely rare cases, their pregnancies can end in 100 to 200 fry! Can you imagine? Guppy fish can survive in fresh water as well as in saline water. If the guppy’s tank is too crowded it will get stressed out and start swimming erratically. Guppies are prone to diseases such as fungal infections in the mouth. If another fish nips them, this can cause a wound which can lead to infection. 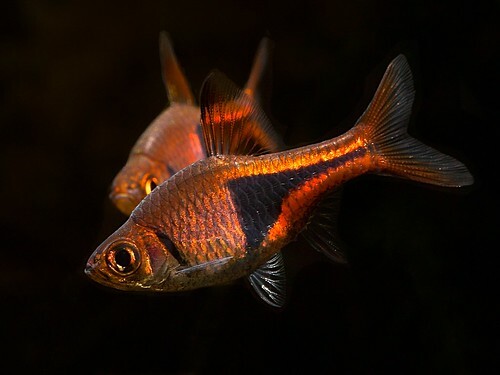 The bottom line is that guppy fish are beautiful to look at and relatively low maintenance. If you follow the rules and find some great tank mates, your guppies should live happily ever after.